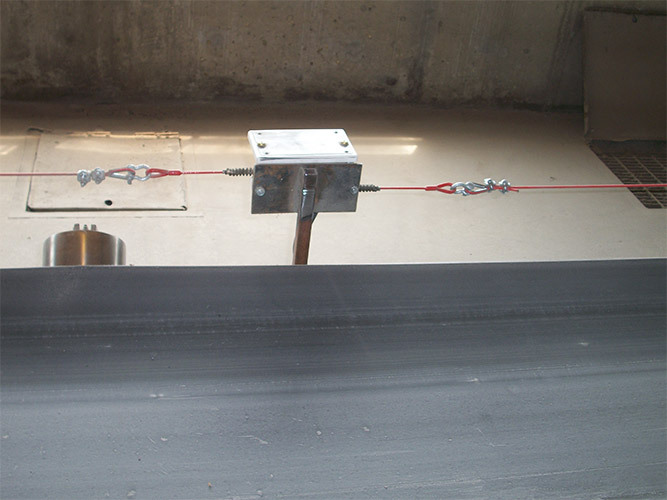 The Pullswitch is a failsafe taut wire emergency pull cord safety stop switch for open conveyors. 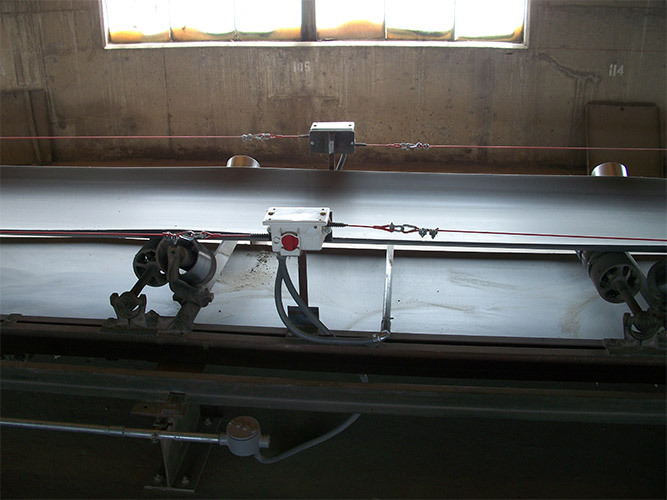 PVC coated steel pull wire and pigtails connect between the switches to provide easy installation and continuous emergency stop access along the length of the entire conveyor. The unique open curled design of the pigtail allows the pull wire to be installed or removed without disconnecting the entire assembly. Pullswitches can be installed at 200 ft. intervals, reducing overall system cost. 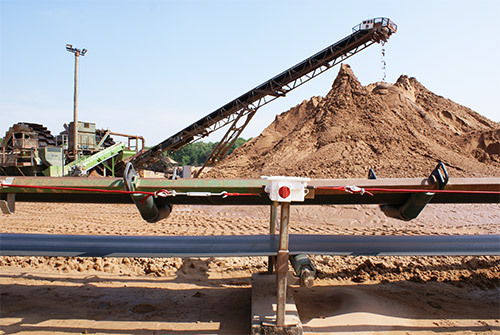 Quick location of a tripped switch is provided by a cats eye reflector or optional flag indicator, and the tripped signal can be wired back to the motor starter and an alarm panel or PLC. 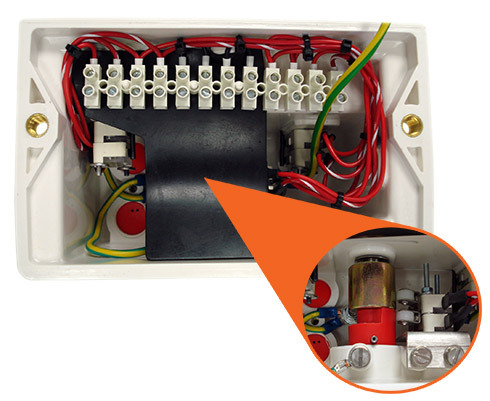 The Pullswitch is a taut wire device, so if wire tension is lost the unit will trip. 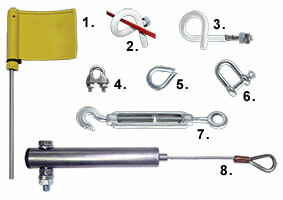 This design provides a secondary level of safety protection if the pull wire is damaged, or becomes slack. 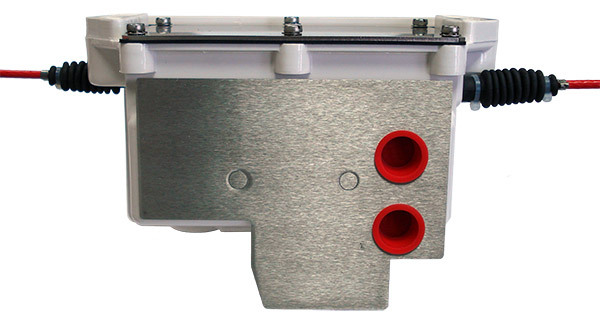 The Pullswitch has an IP65 / NEMA 4, 4X, 9 rated enclosure made from polycarbonate with stainless steel plates, making the housing corrosion resistant and weatherproof. A total of six independent changeover contacts inside the Pullswitch offer flexible operation and control. 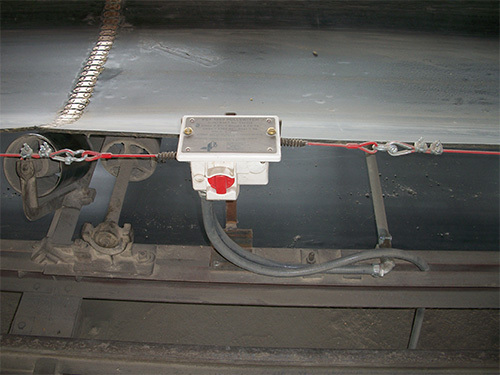 Two independent cam operated switches with snap action mechanical operation are provided for conveyor shutdown, and four additional micro-switches signal a slack wire alarm. 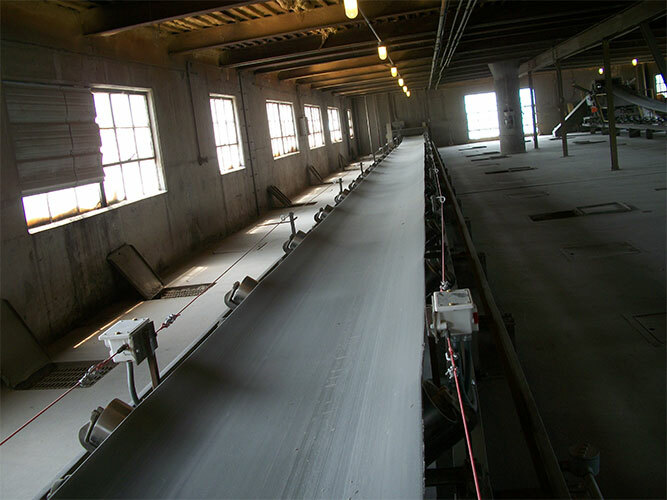 The calculator will provide an approximate total for your project, quantities may vary depending on installation. Please refer to the product installation diagrams under the 'Downloads' tab to help guide you with your project. Why am I getting an alarm when the cable has not been pulled? cable is slack or cut. I have a conveyor with multiple Pullswitches. How do I know which one was pulled?